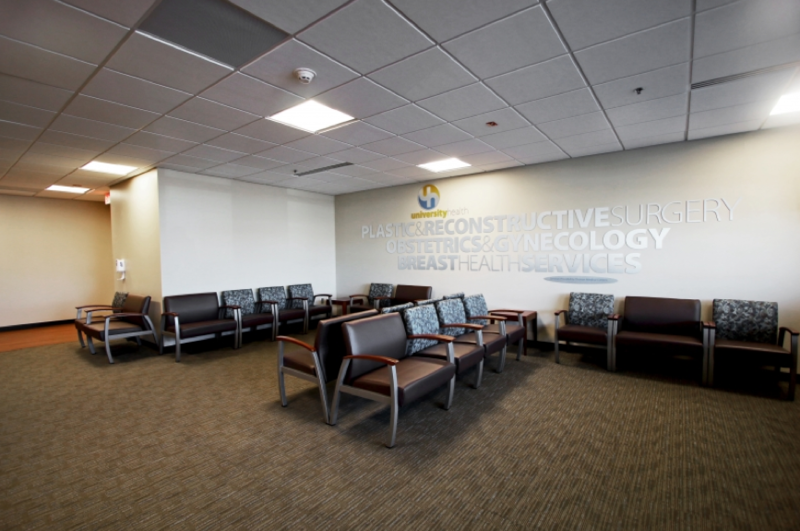 University Health’s Truman Medical Center is a 90,000 square foot outpatient specialty care facility that offers patients easy access to a vast array of services and a multi-disciplinary team of trusted physicians and surgeons. The multi-tenant building includes 3-D mammography and a state-of-the-art surgical center with capability for the most advanced surgeries including optical, orthopedic, oral and reconstructive services. As downtown Kansas City’s only freestanding outpatient specialty and surgery center, it was designed to address specific tenant needs as well as the needs of the adjacent hospital facility. While finishes needed to be consistent with the design of the other Truman Medical Center buildings, each tenant in the 4-story building was considered its own project issued by the contractor. 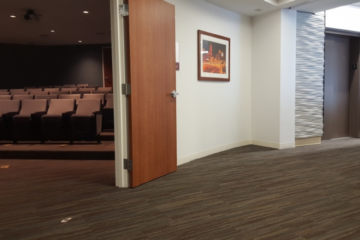 This presented several installation challenges, but thanks to the training and experience of INSTALL Warranty Contractor Image Flooring LLC, the final result provided an expertly crafted space finished on time and on budget. 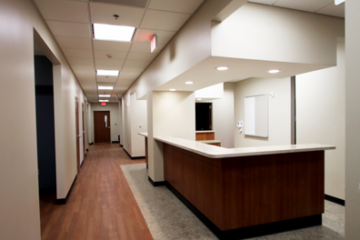 Your healthcare design specs and the caliber of installers who execute them can mean the difference between a safe, sterile environment and one that exposes patients to germs, bacteria and deadly hospital acquired infections – which kill thousands of people every year. 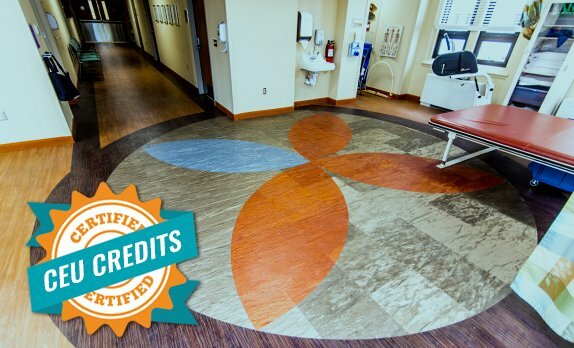 Take our new continuing education unit and learn how specifying ICRA and INSTALL standards in your flooring installation specs can protect patients. One of the biggest challenges came in the form of scheduling. 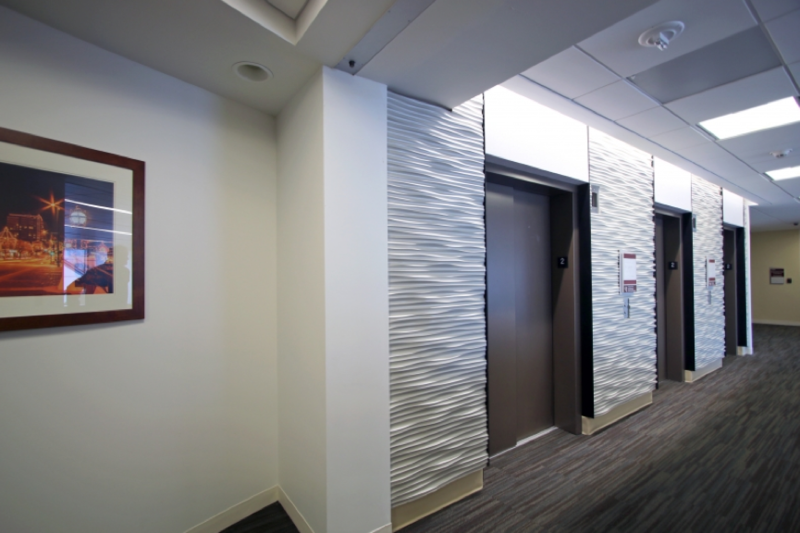 Spread across 90,000 square feet, each floor in the four-story building was treated as its own project. Image Flooring’s installation teams were therefore positioned around multiple floors with multiple materials. Not only were the teams tasked with individual floors, they installed the flooring in common spaces on the first floor while simultaneously completing the tenant spaces. This made logistics management extremely tough. However, it demonstrates how Image Flooring’s training and certification impacts its ability to make intelligent project choices to compensate. Since the fourth floor was the last area to be completed, it served as a makeshift staging area. 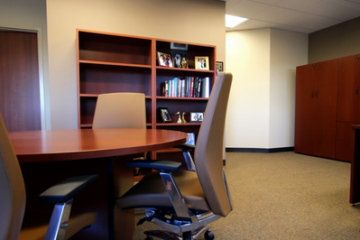 While some products were stored there and brought down when needed, the space was small and the project was fast paced. The size and scope of the project meant multiple site deliveries, which was a challenge in itself. As all building trades were working together, it was decided that the Image Flooring warehouse be used to store products until the teams absolutely needed them. 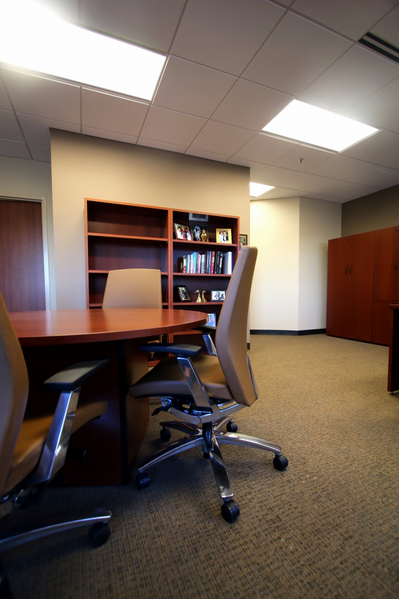 In addition to scheduling and staging challenges, the installation plan called for immediate occupancy in a majority of the office spaces. As each team finished a space (or even part of a space), move in began. Offices literally opened around them as they worked. Despite the challenges, product installation went smoothly due to Image Flooring’s experience and INSTALL training. 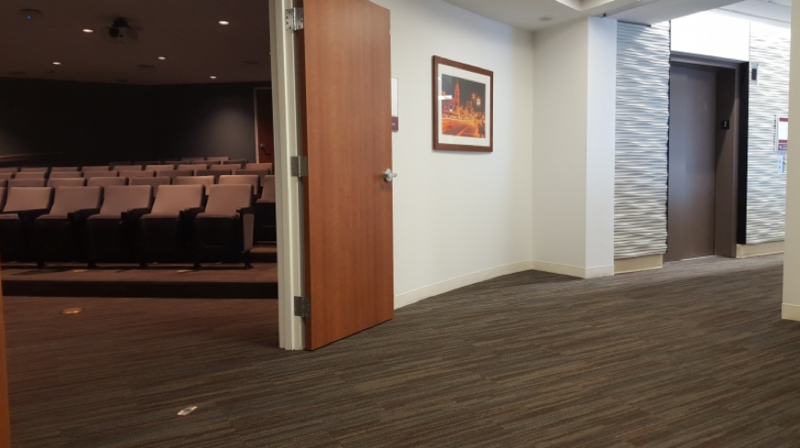 Armstrong Flooring luxury vinyl tile products as well as welded sheet flooring created a cohesive look throughout the building. 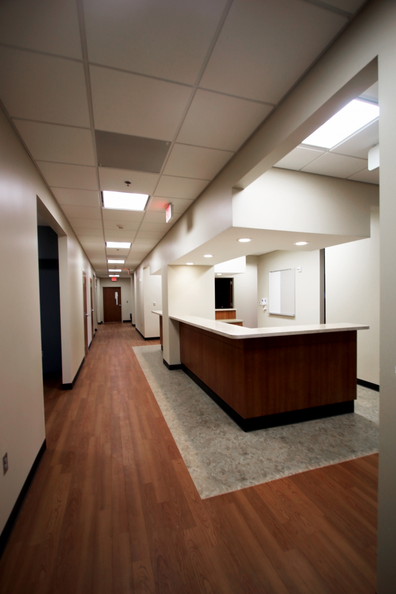 The result is a new, yet familiar space for employees and patients alike. 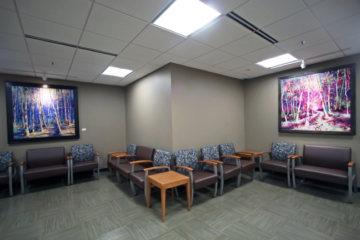 The University Health Truman Medical Center serves as another successful project for Image Flooring. In its 16-year history, the INSTALL Warranty Contractor has never caused a delay, and despite multiple challenges they stayed true to form for this project.